In 1991, a Western Reserve Academy student wrote a research paper for her U.S. History class titled, "The Cute Little Gothic Revival Cottage at 37 Baldwin Street." Anyone who has traversed Baldwin would know exactly which house the student meant. Formally, it is named the Thompson C. Hotchkiss House, built in 1853. Informally, people have called it the gingerbread house, a nod to the distinctive incised wooden trim that is the feature most associated with its Gothic Revival style. But the sweet looking structure has a quiet strength that has muscled it through fascinating and formidable chapters, including a move from its original plot of land, a Sheriff's sale price of $795 in 1898, and a long litany of owners. Its 2018 renovation by Western Reserve Academy is the newest chapter in the story of a little house that could, and would, sustain. Today, 37 Baldwin Street holds true to its history but is a refreshing reminder - in an era often marked by excess and bloated personal footprints - that less can still be more. The house was built in 1853 by brothers Alonzo and Thompson C. Hotchkiss on a double lot at the corner of College and Baldwin Streets, purchased from President George E. Pierce, president of Western Reserve College. The house faced College Street and remained there until 1914. Its move to Baldwin did not degrade its features: original doorways, random width poplar floors and a steep inside staircase remained in tact. 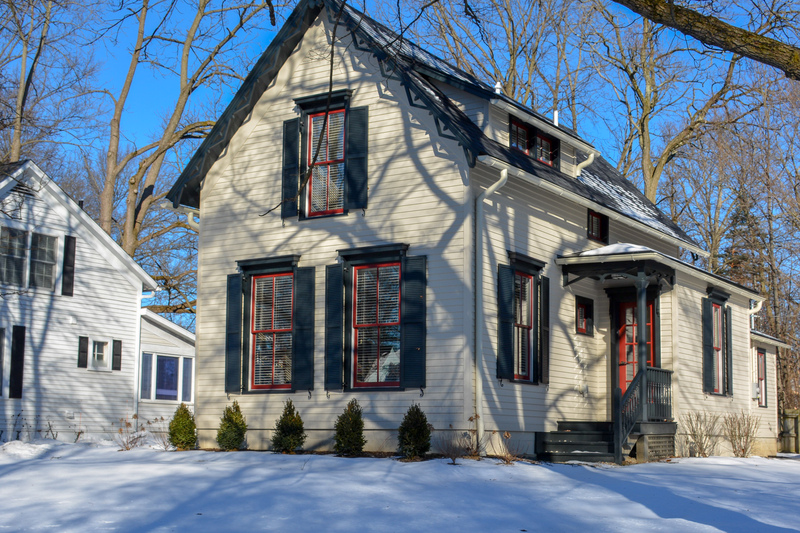 In addition to builder and original owner Hotchkiss, subsequent owners of the home included a Mayor of Hudson, a successful entrepreneur, a pioneer Hudson family, the family of a WRA student and many others. The house was awarded a marker by the Hudson Heritage Association in 1988 and sold to WRA in 1994. In the years since its ownership by the school, 37 Baldwin has welcomed many faculty members through its distinctive, albeit slowly dilapidating, doors. In 2018, the school began its ambitious renovation with an eye on utility and preservation for the next century and beyond. 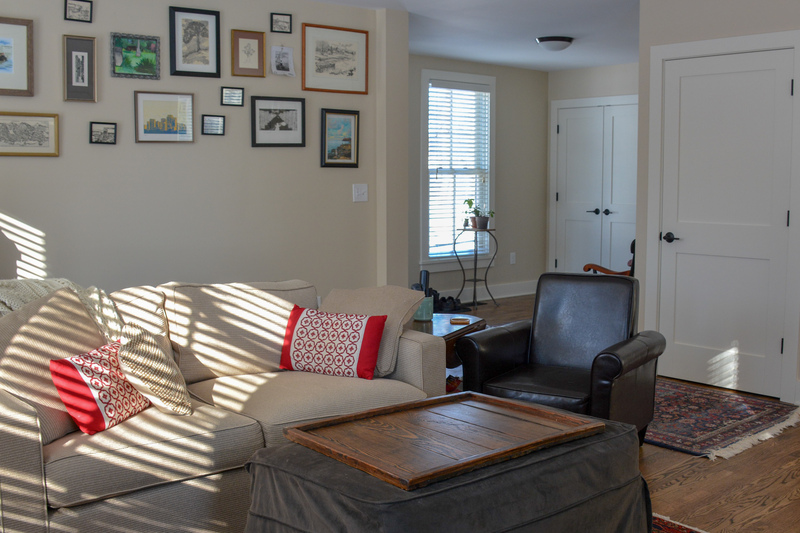 Passersby of 37 Baldwin during recent years must have noticed that something was out of sync, as the property had lost the immaculately updated appeal of the other homes on the block. 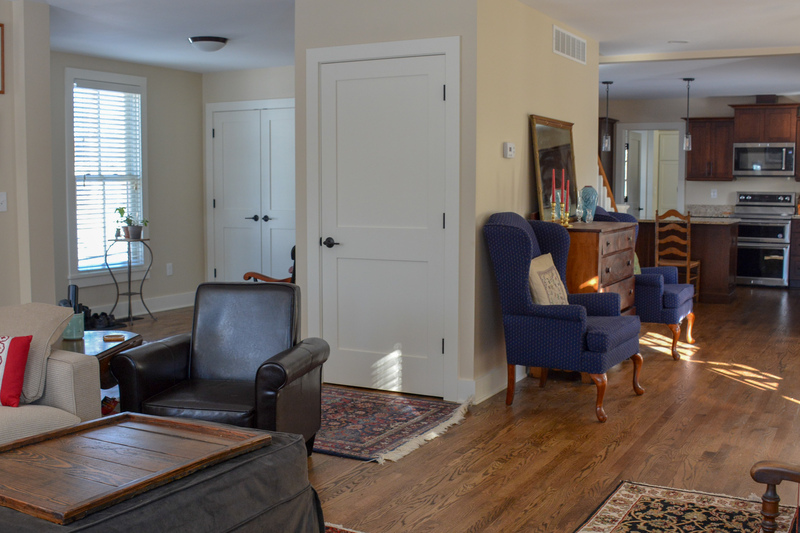 The WRA facilities team, led by Director of Facilities Jeff Jacot, knew the project would be about more than aesthetics and updates; the house was in for an overhaul that needed to be historic, thoughtful and in many ways dramatic, as the house and any history it held were quite literally at risk of caving in on themselves. The renovation spanned eight months. The work of the renovation team far surpassed the recommendations of an inspector of the house in 1994. Jacot says when he plans for a renovation of Reserve's nearly two-century old campus, he does so with an imperative for architectural staying power. Jacot's team's scope of work spanned site work and utilities; exterior repair and renovation; selection demolition; and interior repairs and renovation. On the site, the perimeter foundation wall of the building had to be removed, new underground storm sewer lines installed and more. Exterior repairs were significant, as Jacot reluctantly admits that a simple push/pull of the central beams of the house made the structure sway. The existing garage and North addition to the home were removed and reconstructed. Both porches also were rebuilt, a necessary historical element as the porches give the house, when seen from above, the shape of a cross. This is a symbolic feature common in many Gothic buildings, an idea borrowed from the Gothic European cathedrals, emphatic of the influence of God and religion in early builders' and inhabitants lives. Additional to the exterior, all siding and exterior woodwork was repaired and replaced and all existing windows and frames were replaced with Mahogany TDL windows. All exterior doors, gutters and downspouts are new and the foundation has been properly waterproofed. Selective interior demolition improved safety and functionality, removing interior partition walls, plaster and drywall ceilings, all floors, framing, roof framing and structural framing members. 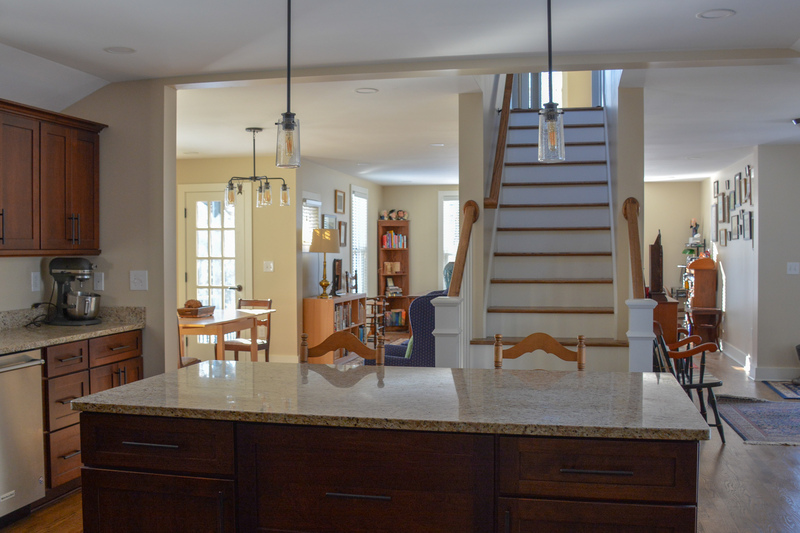 This extensive work made way for a fully new floor plan including two bedrooms and a main bath on the second floor, a full bath and laundry room on the first floor, and an open concept living room, kitchen, dining room and foyer on the first floor. Literally from floor (casing, bases, wood trim) to ceiling (all finishes and lighting fixtures) and everything in between (electrical wiring, piping, forced air heating and cooling), 37 Baldwin is reborn. When you step inside 37 Baldwin today, it is hard not to feel like this is the type of house that everyone should want. While the rooms are open, for living today, the house's old soul can be felt, as the pure form, size and style of the house have been honored. The Gothic Revival style was part of a picturesque and romantic movement in architecture, and this house delivers those aesthetics for 2019 and beyond. It is unique on the street, now befitting of its neighbors again in its upkeep and presentation, and a nod to an architectural style that defies the suburbs and keeps the quaint and proper in play, right in the heart of our historic town.